Commuters on Monday were pleasantly surprised to see the Blue Line up and running again after a massive fire on Friday. Service to the MBTA Blue Line was restored Monday morning following a massive 9-alarm fire that destroyed three buildings in East Boston on Friday, causing interruptions for the train system. The outbound stretch of the rail was disrupted over the weekend with service being replaced with shuttle buses as crews worked to remedy the issue. Customers such as Matt Boivin were pleasantly surprised to find the Blue Line service at the Orient Heights station up and running again on Monday. "I'm glad it looks ot be fully functional. I didn't know what to expect because it looks like the fire was still burning through the night," he said. 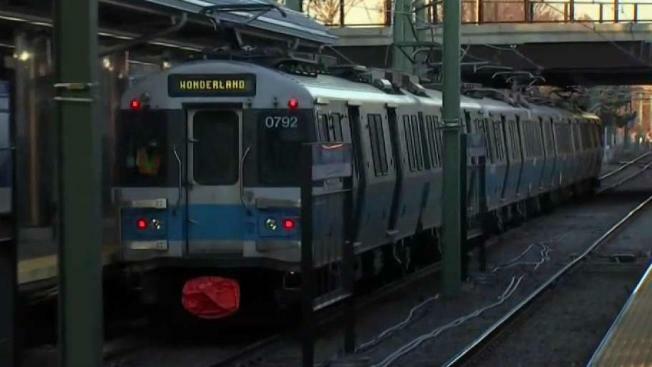 The MBTA Blue Line service is back to its normal scheduling and service after a 9-alarm fire in East Boston caused disruptions during the weekend. The hourslong inferno broke out Friday at about 3 p.m. at the New England Casket Company and was doused sometime around 10 p.m. The blaze prompted buildings in the surrounding area to be evacuated and injured three firefighters and two police officers. 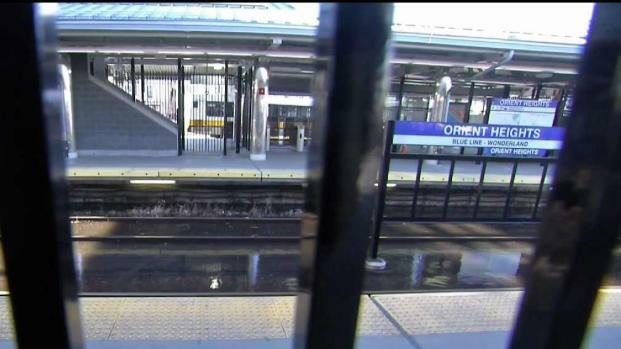 The battle against the fire caused flooding in the Blue line track at Orient Heights, according to officials. This resulted in damage to signals and power equipment. Blue Line commuter Tyler Peck, who worked at Massachusetts General Hospital all through the weekend, said he had to use a shuttle to get to and from work while the line was shut down and was surprised that the station was finally open on Monday. "it was an amazingly huge fire," he said. East Boston resident Luanne Vitalis also boarded a Blue Line train at Orient Heights Monday morning after a long weekend. "I landed at Orient Heights on the night of the fire and I couldn't get home, so I ended up going to a shelter," she said. 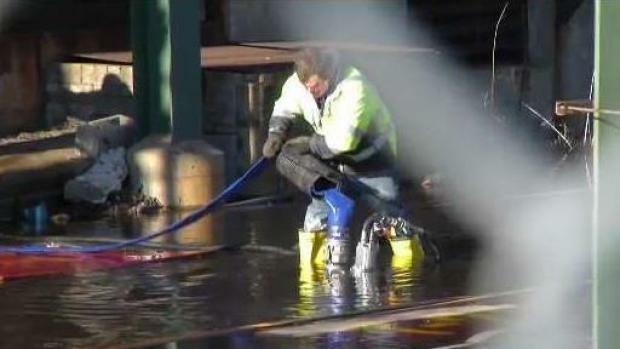 Restoration efforts were scheduled to continue overnight, and the MBTA warned customers to allow for extra travel time on Monday. Although the official cause of the fire remains under investigation, the owners of the New England Casket Company believe a rooftop furnace may be to blame.